Picnicking belongs to one of the favourite pastimes in North Cyprus. All over the island you will find organized places in the mountain areas where it is cool during the summer to sit under high pine trees and enjoy dishes people have prepared at home, or to grill pieces of meat and vegetables. Whole families from grandparents to grandchildren are enjoying the outing for the day, away from the everyday static routine. Not only Cypriots and Turks share this passion but nearly all nationalities in the world go for the slightest hint of adventure, outdoor activities and especially a picnic, the more primitive the better, perhaps with a self caught fish or the like. It reminds me of an episode in the South African bush in the Magalies Mountains near Rustenburg, the vegetation of which is very much like Cyprus, to celebrate the birthday of one of our friends. Just like our Cypriot friends do, young and elderly were included and the cars were packed to the rim to feed a party of ten plus some children. 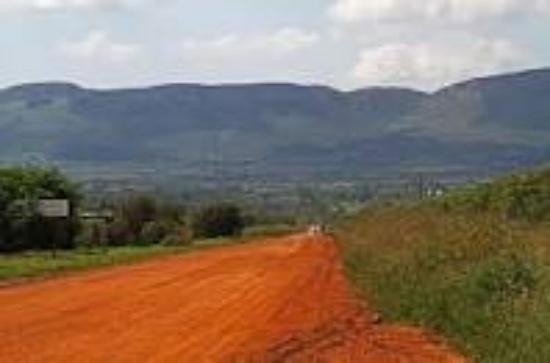 On red sandy roads we drove through bush land, saw some small deer and wild dogs and under a mighty tree at the foothills of the Magalies mountains we stopped our cars and formed a wide circle around our camping ground. We put on our hiking shoes and a hat on our heads to reconnoitre the area in the hills where we knew were pools which had formed from waters coming down from high above. What fun to have a bath in the cool mountain water and to dry on the hot stones. From higher up we had a wonderful view over the plains with acacias growing and thorny bushes. What an offer of colours, very similar to the Akdeniz area on Cyprus. It was about time to prepare our food. The main object of interest was a whole lamb which we ladies rubbed with a spicy garlic sauce from top to toe and the men affixed the body on a metal double cross. The metal foot was anchored in the ground, the upper part pulled up into an inclined position with a wire over a protruding branch of our tree. Underneath the fire was already burning in a ditch, with lots of charcoal and just as it required heat, the lamb was lowered or risen. Sitting around the fire talking about safaris and encounters with dangerous animals in other parts of Africa, playing with the kids or wandering around the place, enjoying a first drink at the time of sunset when the colours of the bush got intensified, the sky turned into purple and red, the green of the bushes was standing out and we stood there inhaling the odours of Africa. When the lamb was ready we picked the potatoes from the fire where we had put them before and shared the salads each couple had brought with them. The lamb was just right, juicy and pink and the juice dropped from our chins. Here is to you, chum, many happy returns. After the meal we cleared everything away and buried the bones a mile away as we did not want to invite wild dogs and other meat eaters. The smaller kids were put to sleep in the cars and the others put their sleeping bags around the fire to sit on and listen to guitar music and some songs of wanderlust and other activities. The stars were bright on a dark sky, the milky way broad and full of ancient stories. A good feeling to be among friends, to have eaten well and to have the Great Bear watch over you. We grew quiet and crawled into our sleeping bags after having loaded the burning fire with fresh wood, two were keeping camp watch. The night music of the bush did the rest to make us fall asleep. In the early morning, still with some lonely stars hanging on the pale sky, the scent of the humid grass in my nostrils, I wandered off for a while into nature because it has its own language which you can only understand when you are alone with it. Nothing moved, complete standstill until the sun touched the rim of my view and the busy day began. A moment of absolute happiness. Magaliesberg with its abundant bird life and fauna and flora. 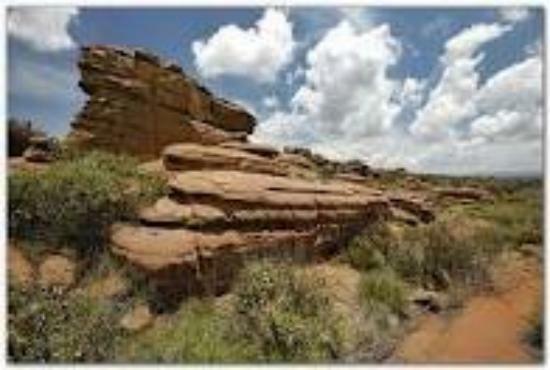 Historical and cultural sites include the German community of Kroondal that dates back to 1857, the indigenous Bafokeng, Bakgatla and Botswana tribes with their totemic and other tribal traditions, and Voortekker graves and forts linked to past battles. Rustenburg was home to the famous Transvaal Republic President, Paul Kruger who led the resitance against the British in the Anglo Boer War. The area is also an archaeological treasure trove with iron and stone-age sites.